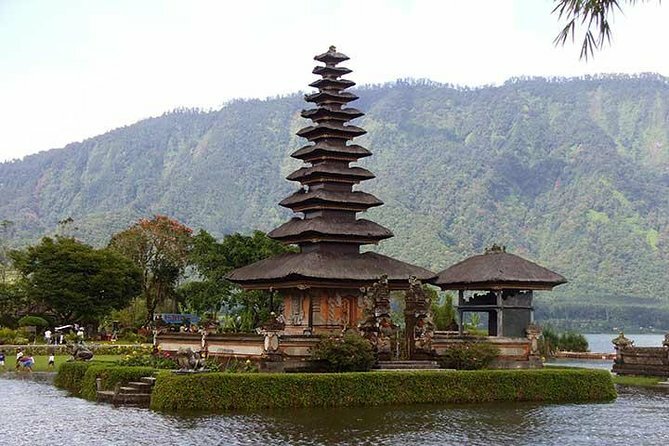 Bedugul Tour is a full-day tour package that visits tourist destinations in Bedugul Village, located in the highlands with its cool atmosphere and beautiful panoramic views. Proceed to visit Tanah Lot the most popular tourist destinations in Bali finishing with the world-famous view of the sun setting behind Tanah Lot. Please NOTE: Price is for use of car and driver. Fees to participate in recommended activities are to be paid by customer in-destination. - Please Note: Price only includes car and driver. All entrance fees are to be paid directly on the day. Went to the Coffee house were the islands famous surprise coffee is made also Tanah Lot beautiful but extremely busy. Our driver took us to his friends new restaurant over looking fantastic rice fields.